Our K2 was originally imported by Perry’s Auto Repairs of New York City. It is one of only 119 built between 1950 and 1952. 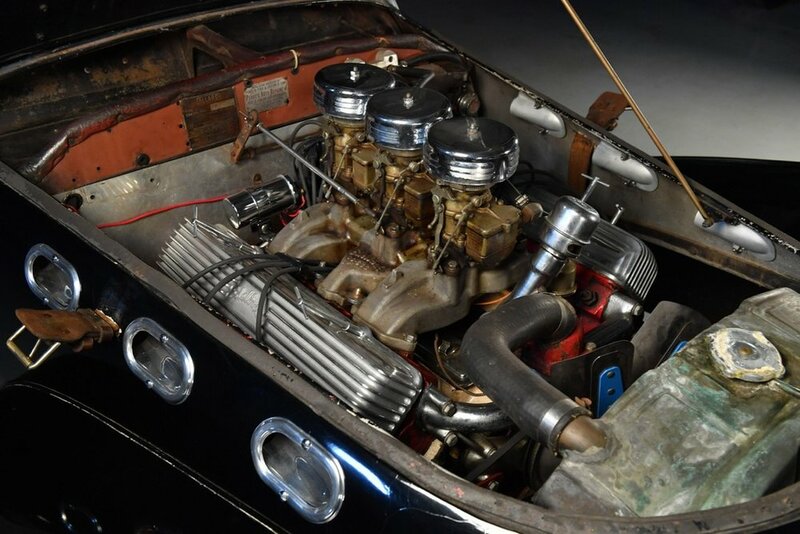 Perry fitted it with a 331 Cadillac V8 and Stromberg tri-carb setup mated to a 3 speed forward transmission. The all-aluminum body is in exceptional condition and sports a very early lacquer repaint which is showing its age but suits the car well. 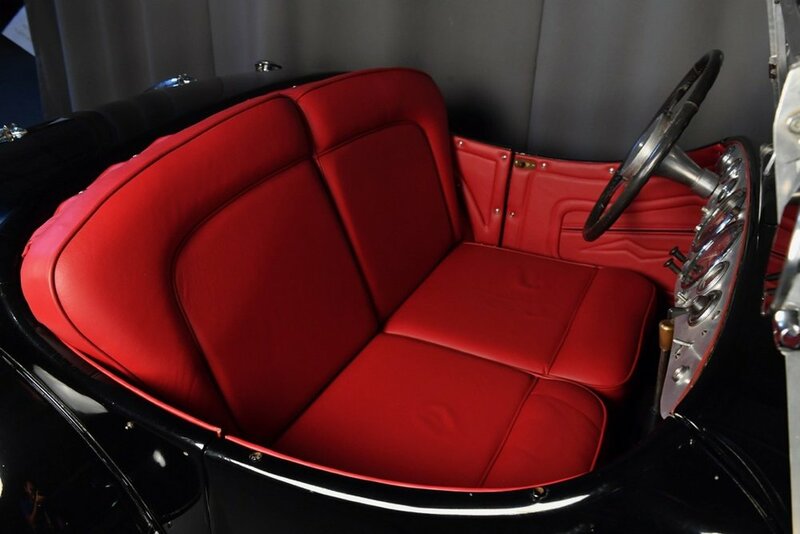 The seat has been reupholstered and the ignition has be updated with a Pertronix unit. Included with the car are a set of extremely rare Plexiglas side curtains. 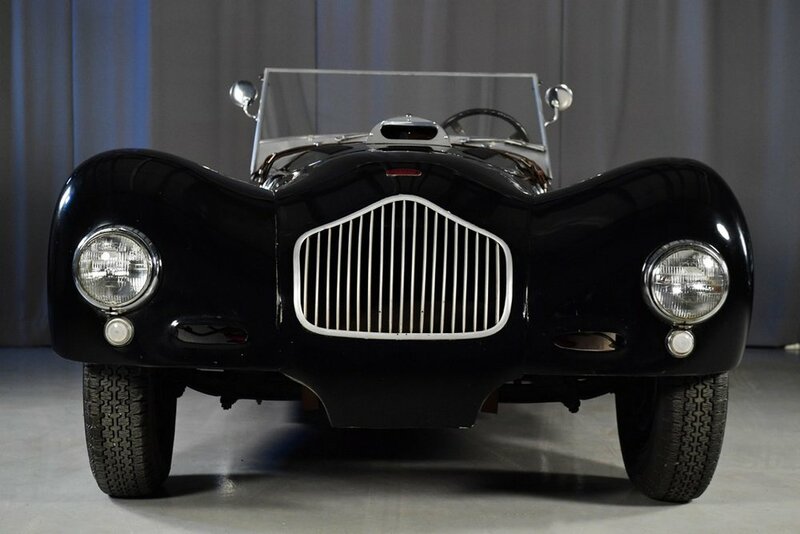 The Allard starts without hesitation and drives exceptionally well. 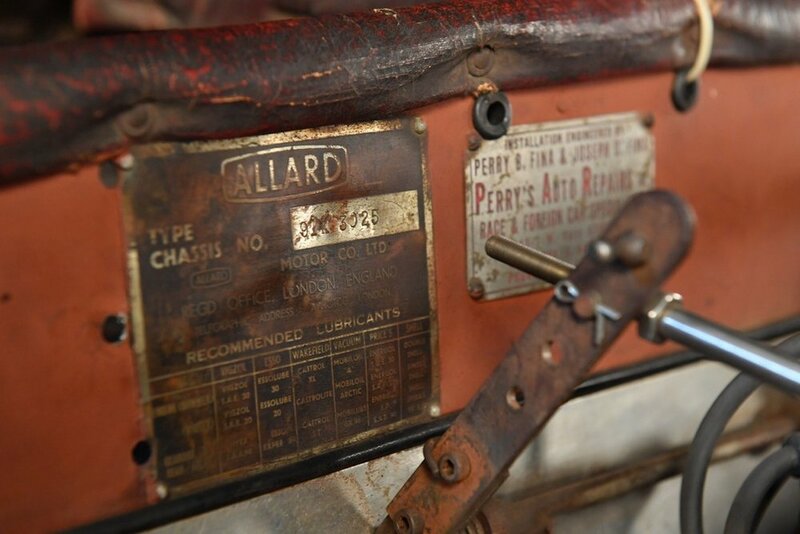 Allard Motor Company Limited was a London-based low volume car manufacturer founded in 1945 by Sydney Allard. 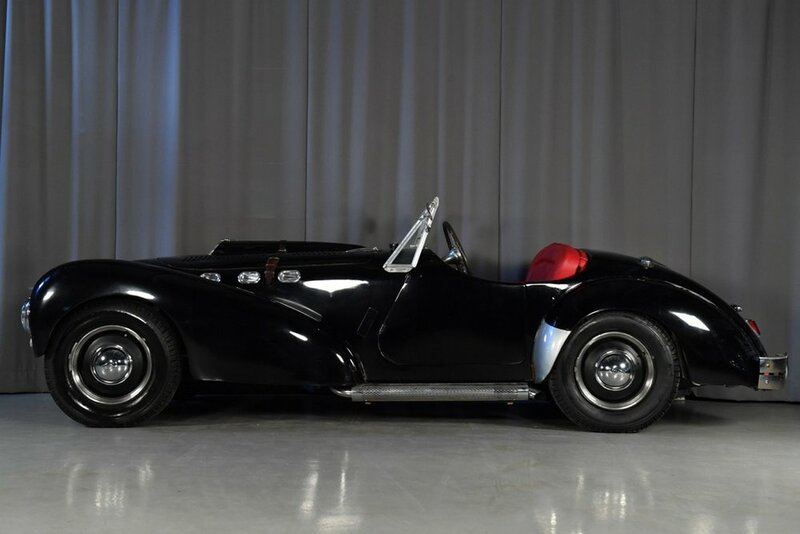 Allard produced approximately 1900 cars before ceasing production in 1958. 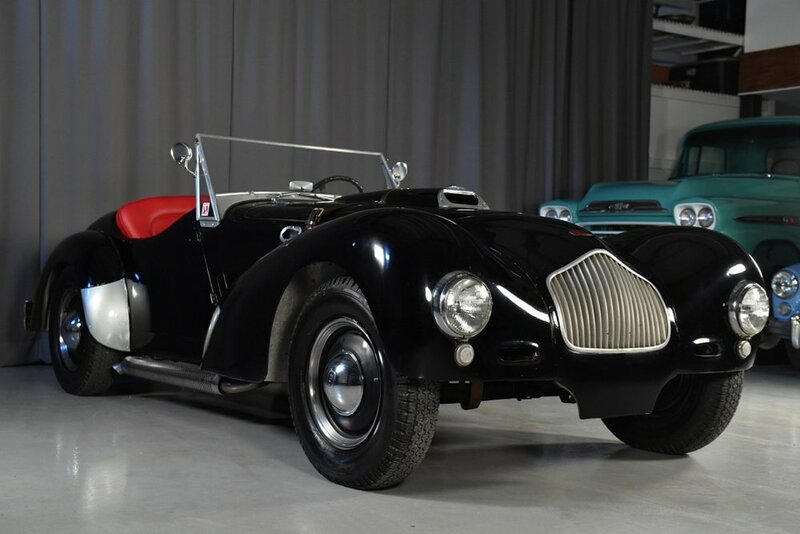 Allards featured large American V8 engines in a light British chassis and body, giving a high power-to-weight ratio and foreshadowing the Sunbeam Tiger and AC Cobra of the early 1960’s. Cobra designer Carroll Shelby and Chevrolet Corvette chief engineer Zora Arkus-Duntov both drove Allards. The K2 is a 2-seater sports car produced from 1950 to 1952. It was offered with Ford and Mercury V8 engines in the home market and with Chrysler and Cadillac V8 engines in the USA. 119 were built. 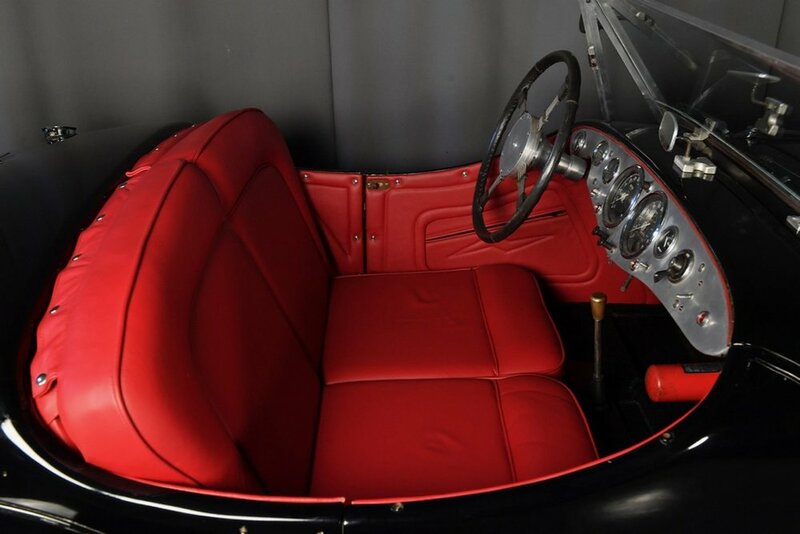 It was a major refinement of the K1 and saw a move to coil springs all round with a new de Dion rear axle offered as an option. Externally, the body is quite similar to the K1 but is smoother and features three prominent oval “portholes” on each flank.